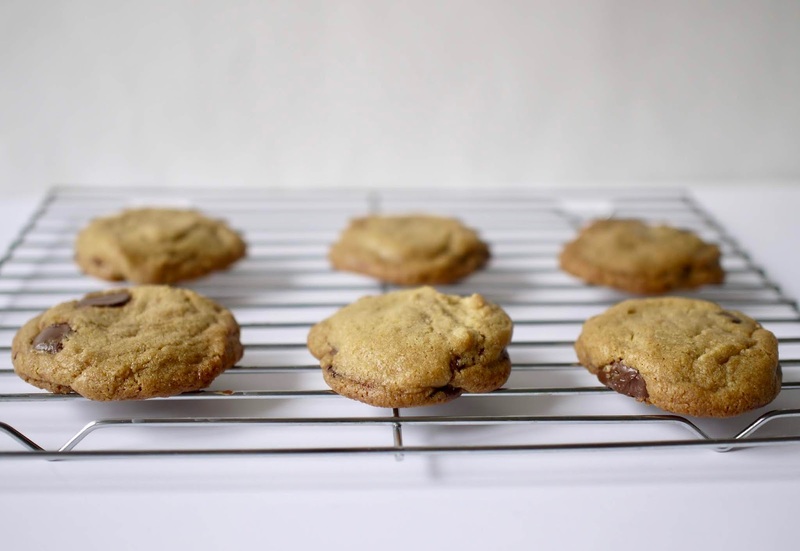 I've been reading a lot about chocolate chip cookies and this particular dissertation on the subject by Kenji Lopez-Alt is a thorough read on the subject. He and I have similar feelings about the perfect chocolate chip cookie: "barely crisp around the edges with a buttery, toffee-like crunch that transitions into a chewy, moist center that bends like caramel, rich with butter and big pockets of melted chocolate." And since he did very extensive research and testing on the subject, I've decided to bake his recipe last in my quest for the perfect cookie recipe. I'm hoping I'm saving the best for last. 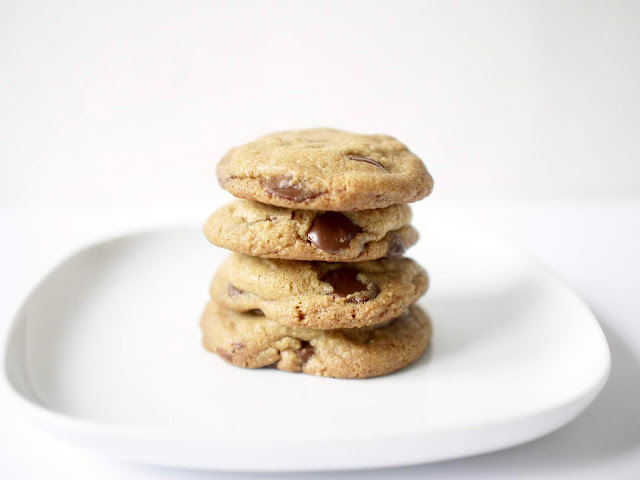 But in the meantime, I'm taking cues from his research: brown butter gives the cookies the deep caramel flavor I crave. 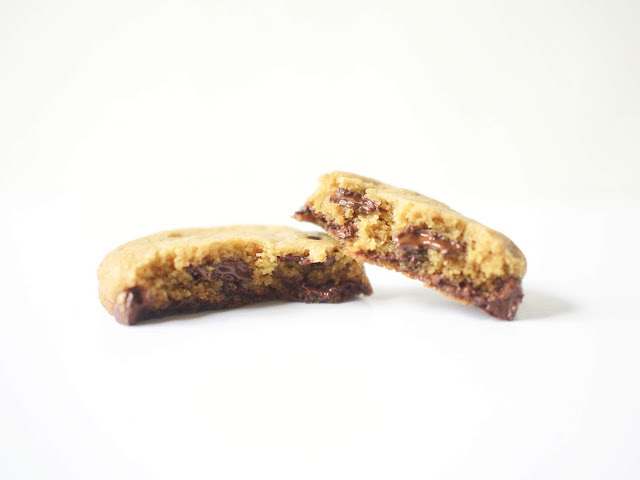 I turned to America's Test Kitchen's recipe in their The Perfect Cookie book as my next cookie test. This recipe was appealing since I didn't have to do any resting time with the dough. As soon as I browned the butter, the recipe was ready to assemble and bake.